How to choose best curing light? the light from high brightness LED curing light almost 100% are effective light, but the spectra of the high power LED curing light should be more wide, generally for 410-510 nm, obviously, it also has so many ineffective light, you can feels that from both the spot, also can feel that from the rise of temperature both of them.However,it will be more short curing time of high power led curing light,generally it is 10-15 seconds, it can reduce the doctor's operation time, make the doctor work easier. 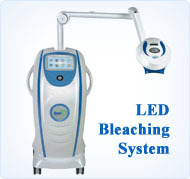 In addition, if your photosensitive have a special sensitive wavelengths,you should use a high power LED curing light. Pay attention to the following two aspects: the first is the cure effect (not light strong), use a strong light mode to cure a resin for a test, generally, the high intensity LED curing light need about 20 seconds, and the high power LED curing light need about 10 seconds, curing depth should be more than 2 mm (usually have 3-4 mm); Next is the attention to the body heat, you can do twice curing test,touch the point shell of led tube,it is not obvious is better,Also can use meter to test the intensity of the starting and after 10 seconds,both differ smaller is more better, less than 10% is advisable. * Very convenient to operate. 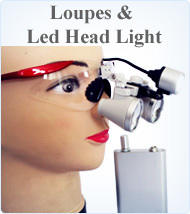 * the curing light has small size, cordless and light weighted. * High power rechargeable battery. * L028A curing light has 3 different working modes: gradually;flash;all the light. You can select the correct mode according to the different types of material you wish to cure, their speed of reaction, and the clinical protocol you are following. * 4 exposure time for optimal curing: 10s/20s/30s/40s. * the curing light has adjustable power from 50% 70% 90% 100%,you can according to your need,adjusted the brightness from 1000mW/cm2 to 2200mW. * Silent and hygienic, no fan. * Round surfaces allow for easy and comfortable manipulation. * The battery can be changed easily. * our alll curing light can be used anywhere in the world. The voltage input is 110V-240V and we will provide you with the correct adapter according to the shipping destination. * the 028A curing light has high powerful light intensity with a maximum reach to 2200mW/cm2. 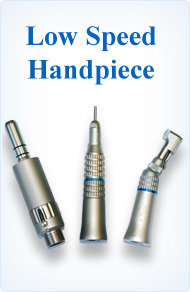 * Aluminum handpiece of 028A curing light with high quality cooling system,low heat. * Li-lon battery of curing light with no memory effect. *If you want to buy more than 15 pcs curing light,please contact with us , we will give you the better wholesale price . *If you want to choose black color,please contact with us before you buy it. *we will match the plug of curing light to you according to your country.